Dotonbori is the gastronomic epicenter of Osaka, Japan. 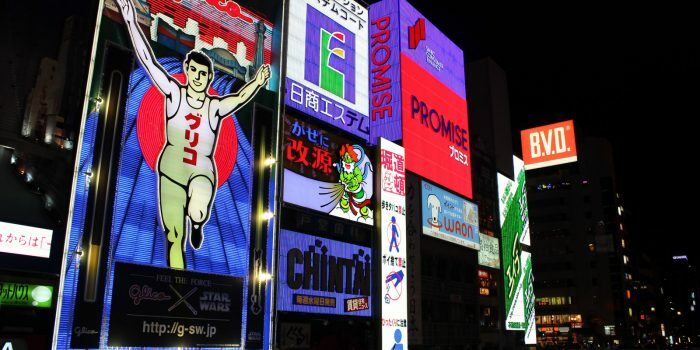 This world-famous street runs from Dotonbori Bridge to Nipponbashi Bridge, and on both sides stand dozens of restaurants whose facades are adorned with enormous, electronic displays. © Copyright 2017 WanderGeneration. All Rights Reserved.